How Dare She Claim The Sun As Her Own? 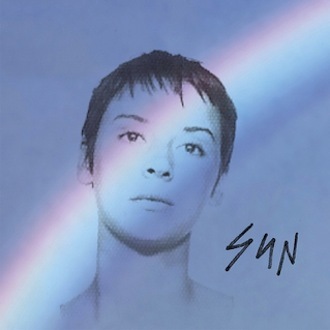 A strained relationship with Cat Power’s Sun is the opening credits in a sitcom about the life and times of Laura Jane Faulds. A story about the soundtrack of her life & waiting for it to hit. 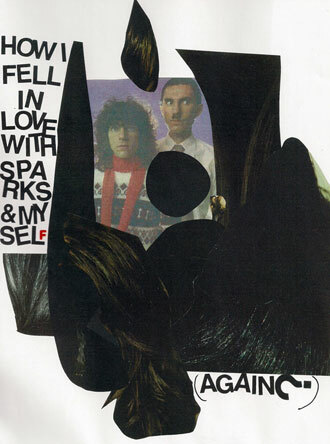 Beginning with the death of her beloved grandfather and culminating in her favorite band of all time: the epic love affair between Laura Jane, the abyss, and Sparks. Art by Jen May. This is an ode to co-dependence. Let’s all be extremely self-conscious and revel in the knowledge that we are imperfect beings that not even Keith Richards can illuminate. 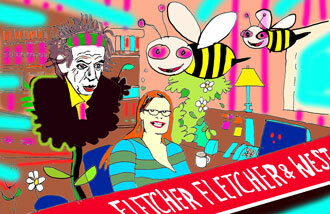 And who is Keith Richards to you, anyway? And how can you be sad in the summertime when he shows up precisely not to give you love or validation? Let’s take a walk in the park. Let’s hold ourselves tight and sing, Baby, baby keep me happy.